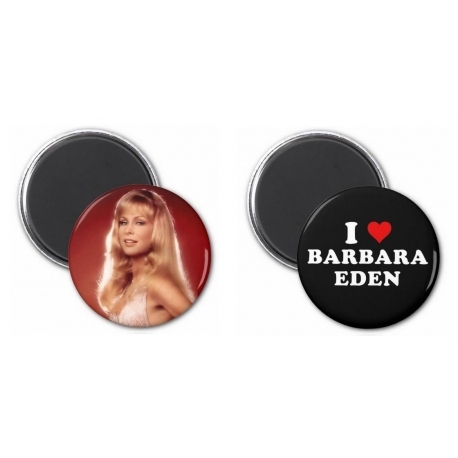 B - "I ❤ Barbara Eden"
Each magnet set comes with two (2) magnets. 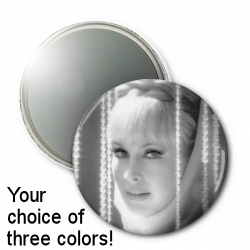 Each magnet is 3-inches in size. 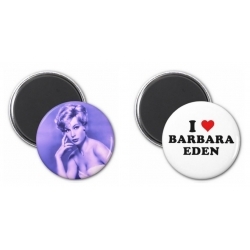 Description: Black Background with white lettering and red heart, magnet reads, "I ❤ Barbara Eden"
PLEASE NOTE: Each magnet's image may appear slightly different when it arrives. Though the image will be the same, the image alignment may be slightly different and/or the colors may appear differently than they do on your screen. This is not considered a manufacturer defect and is not grounds for a refund or exchange. 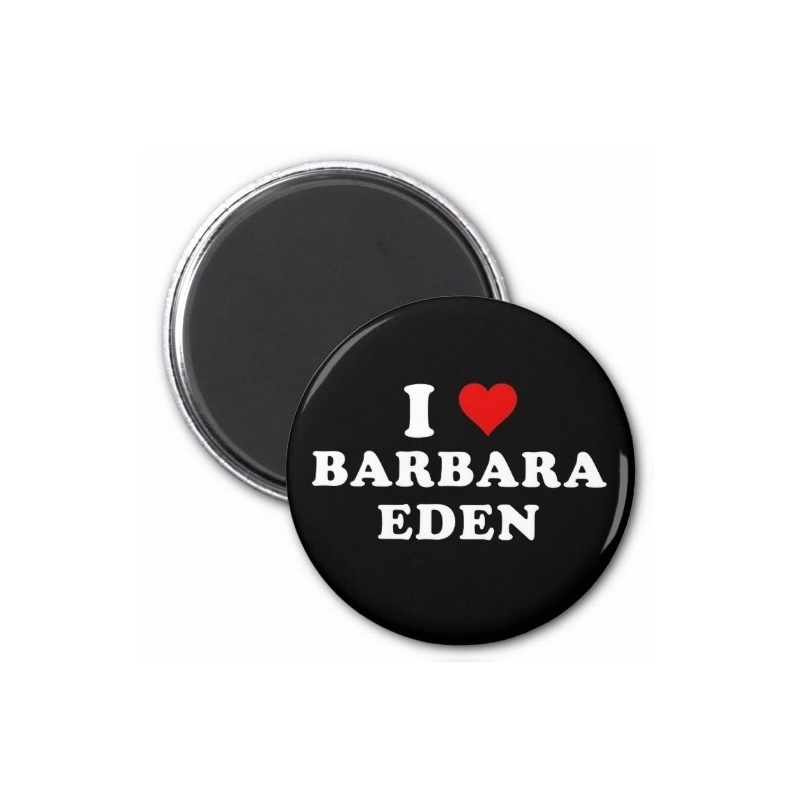 Gift Wrap Option 1: For an extra $2, you can send the magnet set in a small, black satin bag with silver gift tag. Gift tag has spot on back where you can put To/From names. If shipping directly to recipient, let us know during checkout in the "Leave a Message" field and we will type or handwrite the names on the back of the tag for you. Happy Birthday! Enjoy the magnets! Gift Wrap Option 2 (US Customers Only): For an extra $2, you can send the magnet set in a metallic gold bubble mailer. This mailer will be sent through the mail to your recipient. Inside the mailer will be your book -and- a packing slip. (If purchasing multiple gifts in one order that are all being shipped to same destination, all gifts may be put inside same shipping box. In that case, packing slip will be taped to outside of gold bubble mailer, so you know which gift it is.) Packing slip will not include prices. Merry Christmas! Enjoy the magnets!